Nice new certificate for my curious railroad collection. 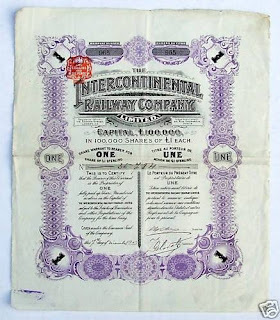 The Intercontinental Railway Company, certificate for one share. This company took over the famous Channel Bridge and Railway Co.